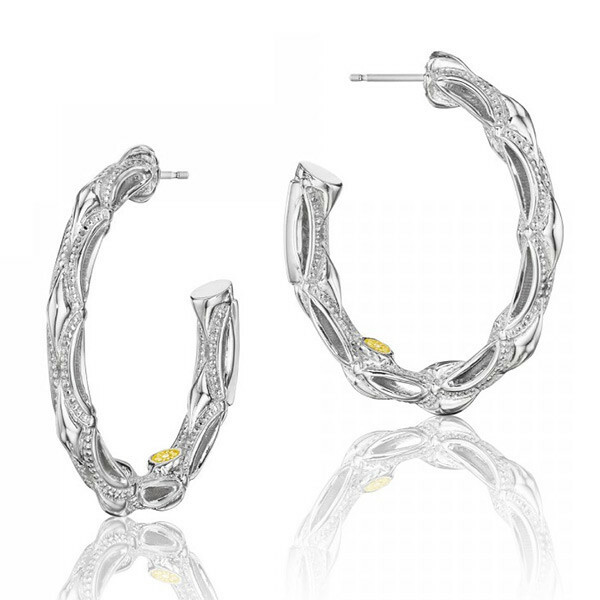 From Tacori's Classic collection, these classic rock hoop earrings are inspiring. Perfectly named, they exemplifies the simplicity and luxurious beauty of its name. Set in sterling silver, these earrings were made to provide you with the ultimate class and exquisiteness.